Online Turf grows and supplies cultivated turf across the UK, offering next working day delivery service. Our beautiful lush green cultivated turf is available to see on our turfcam or view feedback to read customer's opinions. Online Turf has been growing cultivated turf since 1988 and our wealth of experience is always on hand to help you make your choice. We take pride in providing quality turf to the customer directly from us, the grower. We will always put our customers first. We deliver freshly harvested turf straight to you, normally within 24 hours during the working week or alternatively at a later time requested by yourself. We deliver to every postcode in the UK and we can deliver from Tuesdays to Saturdays. 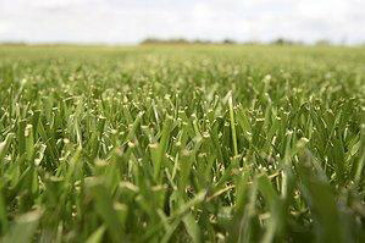 We have a weed-free quality guarantee on all cultivated turf to so can be confident that you’re buying top quality turf.